MANILA, Philippines - A landmark decision by the Supreme Court on Tuesday, July 4, said that President Rodrigo Duterte has the power to put the entire country under martial law and should have the sole discretion on its scope. The main ruling and the 14 other separate opinions on the three petitions that challenged the validity of Duterte’s martial law order in the entire Mindanao was made public on Wednesday night, July 5. The 82-page decision written by Associate Justice Mariano del Castillo said the 1987 Constitution, although authorized to review the President’s power to declare martial law, could not limit his authority as chief executive of the country. According to the High Court ruling, Duterte does not need the approval of Court nor Congress to impose martial law. "The Constitution grants him the prerogative whether to put the entire Philippines or any part thereof under martial law. There is no constitutional edict that martial law should be confined only in the particular place where the armed public uprising actually transpired," the 15-member tribunal ruled. 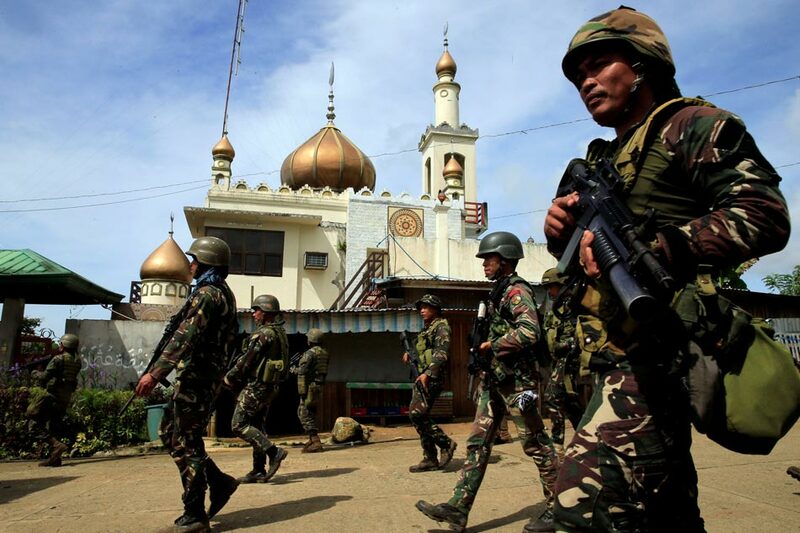 The ruling also upheld the constitutionality of Duterte’s martial law in Mindanao saying that the May 23 siege of Marawi City by Islamic State-inspied Maute terror group was an act of rebellion. The decision said the siege justified the president’s decision to impose martial law as well as suspend the privilege of the writ of habeas corpus in the entire Mindanao. Del Castillo’s ponencia along with concurrences from Associate Justices Lucas Bersamin, Presbitero Velasco Jr, Jose Mendoza, Bienvenido Reyes, Diosdado Peralta, Teresita Leonardo de Castro, Estela Perlas-Bernabe, Noel Tijam, Samuel Martires, and Francis Jardeleza approved the constitutionality of Duterte’s martial law declaration in Mindanao. Meanwhile, Senior Associate Justice Antonio Carpio voted to limit martial law in Marawi City. Chief Justice Maria Lourdes Sereno and Associate Justice Benjamin Caguioa believe martial law should be limited to the provinces of Lanao del Sur, Maguindanao, and Sulu. The lone dissenter, Associate Justice Marvic Leonen, sided with the petitioner’s request to nullify Proclamation 216. “The President’s duty to maintain peace and public safety is not limited only to the place where there is actual rebellion; it extends to other areas where the present hostilities are in danger of spilling over,” the ruling said.